My final day in Torres Del Paine National Park! I was awake early as I wasn’t too sure how long it would take me to get back to Refugio Paine Grande where the boat to Pudeto departs at 12:30pm. I was warned to be at the boat station by 12pm latest as the boat can get full and I may be forced to wait for the 6:00pm boat if I do not make it in time. I was on the trail by 7:25am. If it took me as long as it took getting from Paine Grande the previous day (5 hours) I may or may not make that boat. But this morning I was full of energy. The previous night’s good meal, an apple and energy bars for breakfast went a long way in helping me get through that first steep cliff climb. I took a few short photo stops until I got to Lago Los Patos at 10:05am and heard my name being called. It was Fabio, the guy I hiked with on Day 1. He told me that he was looking for me at Mirador Torres but couldn’t find me. However, we both saw that fox on the way to Mirador Torres so we may have been minutes or even seconds away from each other. We took a couple pictures and updated each other on our travel plans. 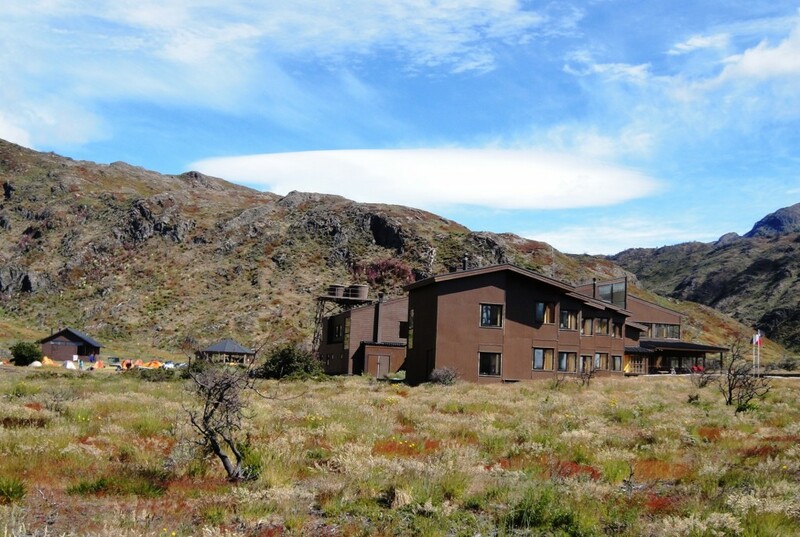 2 Days from now, we realised that we would be staying at the same place in El Chalten (Argentina). Standing still for about 15 minutes makes you feel cold after a long hike so we both decided to continue (he was on his way to Glacier Grey, and I was heading back towards Refuge Paine Grande). By 11:05 am I was at Refugio Paine Grande. It took me 3 hours 40 minutes (including stops) to be back. I met up with the 2 Swiss girls from the previous night and 2 German girls from Day 1 (jumping at Mirador Torres), and we all headed to the catamaran platform by 11:30am to wait for the ferry to Pudeto. It was a clearly sunny day. I got some amazing pictures of Lago Pahoe and the surrounding mountains. It’s nice to be able to identify each landmark from a distance after you walked so close to it on the preceding days. From Pudeto I boarded the bus to Puerto Natales at 01:30pm which headed towards Laguna Amarga for the 02:30pm pickup of passengers at this entrance before resuming the journey at the city. 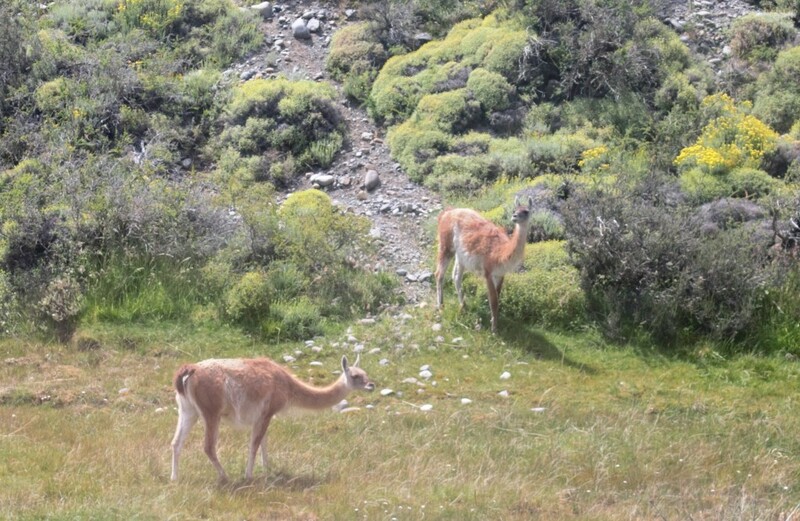 Once again, amazing scenery with lots of Guanacos to see en-route. A minute after the bus departed for Laguna Amarga a German passenger got up and asked another passenger who understands Spanish and English for help. She forgot her passport outside the cafeteria at Pudeto. This other passenger explained the situation to the bus driver who stopped the bus, offloaded the German couples luggage and we resumed the trip to Puerto Natales. The German couple would need to find a way back to Pudeto and catch the 0630pm bus back to Puerto Natales. I hope that lady found her passport. Once I reached Puerto Natales I walked to and checked in at Yagan House, returned my rental equipment, did some laundry and had a shower before heading to Messita Grande for a good meal. Unexpectedly, I was allocated a seat next to the 2 Swiss girls that I initially met the previous night. It was great to catch up again! I took it easy the rest of the evening. Click here to read more about Day 4 of my trip. 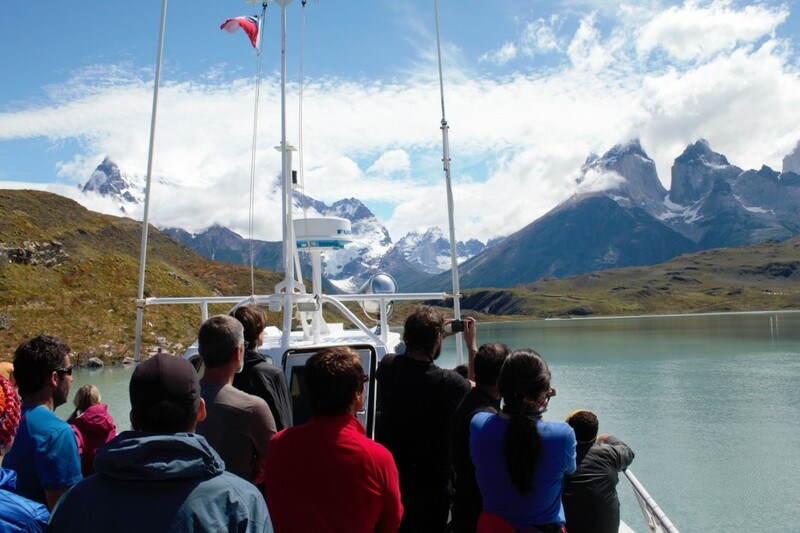 If you want further details on Torres Del Paine National Park read my Guide to Torres Del Paine National Park in Chilean Patagonia and Torres Del Paine National Park – Itineraries and Distances (which has detailed route, distance and altitude information).